To mark National Apprenticeship Week 2019, HIT Training, the apprenticeship provider of choice in the hospitality industry, hosted a pop-up pizza kitchen. Held in partnership with charity, St Luke’s Parochial Trust, the event took place at St Luke’s Community Centre in South Islington on Tuesday 5 March. 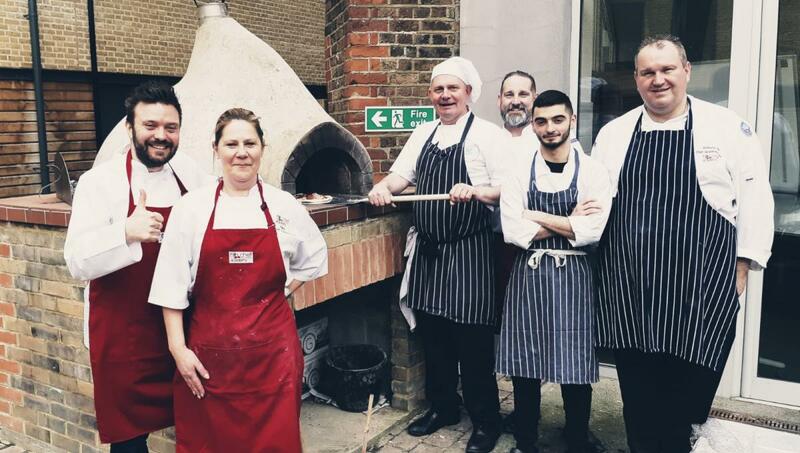 The pizza kitchen (headed up by Academy Principal Paul Mannering), was voluntarily staffed by apprentices studying with HIT Training, volunteers from St Luke’s, four of HIT Training’s Chef Academy leads and HIT London Operations Manager, Simon Lewis. The team created and served over 250 pizzas free of charge to over 350 hungry and deserving people, supporting local charities and community groups. These included MenCap, St John’s, SoapBox, a Young Person’s shelter at Liverpool Street, a women’s refuge, St Mungo’s (for delivery to the homeless) and of course, the team from St Luke’s Community Centre and its visitors. Three different flavoured pizzas were on offer; pepperoni, margarita and a vegetarian option. All of which were created using a pizza recipe taken from HIT Training’s Production Chef Academy Workshop, better known as the ‘seven a day pizza’ and cooked in St Luke’s wood-fired pizza oven. The recipe has been developed for school kitchen chefs as a way of getting children to eat healthier and consists of a base tomato sauce containing the following seven key ingredients: onion, garlic, carrot, leek, green pepper, courgette and tomato. Talking about the pop-up pizza kitchen event, Simon Lewis, Operations Manager at HIT Training London, said: “National Apprenticeship Week is all about celebrating the opportunities available for people to learn and develop new skills and I believe the lessons our apprentices learnt will be priceless. Not only did they get to experience working in a high-pressured, live kitchen environment, without all the tools they may expect in a professional kitchen, they learnt a valuable life lesson in using their skills to help others. “The work that St Luke’s Community Centre does, as well as all the other charities we met, is invaluable to the local community. To be able to support them, even for just one day was a gift and gave myself and the rest of the team a different perspective on food service”. St Luke’s Community Centre is a welcoming, neighbourly community hub in south Islington, London.  It provides a space for local people to gather and socialise, and for St Luke’s and other organisations to deliver services and activities to benefit the local community. These include a lunch club for the over 55s, a community café, an online centre, art & dance studios, kids’ clubs, a salon & therapy room, a unique cookery school, an employment hub, gardening and a variety of meeting rooms. To find out more about their great work, visit: www.slpt.org.uk. Click here for more information on the HIT Chef Academy.